The Big Beers, Belgians & Barleywines Festival is the result of an inspiration/execution tag team by siblings Bill & Laura Lodge. The first event was held in 2001 at 8150 Nightclub with the first seminar hosted by the Hubcap Brewery, just downstairs. 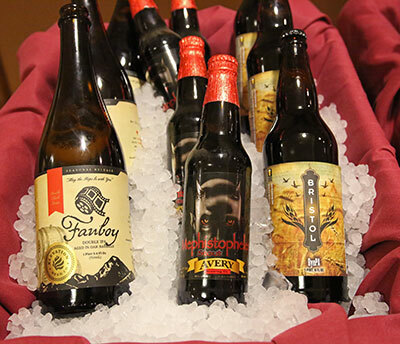 It was a one day event, featuring what has become the Commercial Tasting as the primary event and Adam Avery’s Hog Heaven vertical tasting as the single “seminar” component. The inspiration for the Big Beers Festival stemmed from frustration with a consumer base that didn’t understand the fantastic beer created overseas and wasn’t yet attuned to microbreweries. Set the stage in 2000, when Bill Lodge (pictured on the right in a striped sweater) owned High Point Brewing Corp and distributed an enviable portfolio of early microbreweries and imports in the mountains of Colorado. Educating and selling to liquor store buyers and restaurant owners who weren’t familiar with the wonders of these products was tough. Selling the products that were brought into the bars and liquor stores was even harder for the owners and restaurateurs. Thus the idea: Create a trade show open to the public, where both buyers and end consumers could sample the products in small quantities and create demand through education. Bill’s idea yielded an enthusiastic group of brewers, importers, and attendees that were excited to pour, experience and learn about the crazy selection of products available to them. And the idea also required tables, chairs, communication, organization….and all of the pieces and parts that create an event. That’s where Laura came in (pictured above in the front row in a red vest). As the event organizer since its inception, she has nurtured a culture of brewers, volunteers, educators, and industry veterans who are excited to gather together in winter wonderland year after year for the Big Beers, Belgians & Barleywines Festival. Today the Big Beers Festival has become an intense three day weekend of three craft beer dining experiences, thirteen educational seminars, the Welcome Reception, our Big Beers Homebrew Competition Judging, and the original Commercial Tasting (a lot bigger) wrapping it all up on Saturday evening. 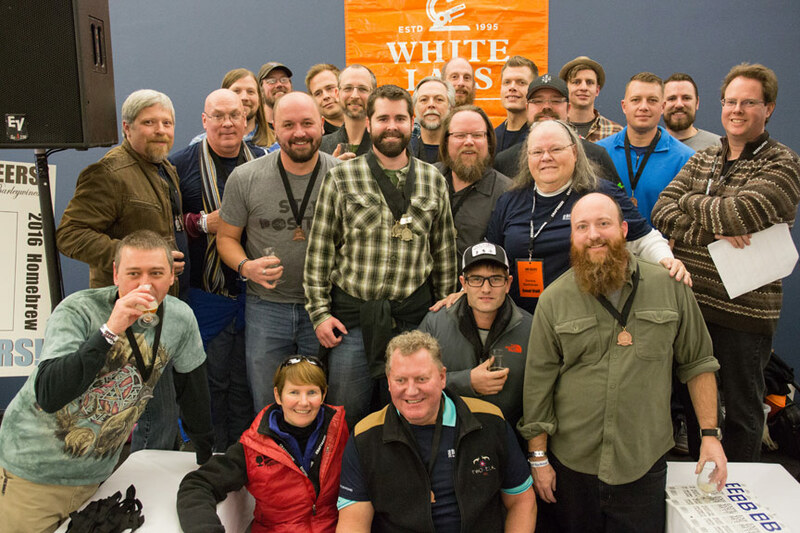 We attribute the growth of the event to our brewery participants and supporters, who recruit brewmasters internationally and talk up the event within the industry. “See you in Vail” was one of our favorite things to hear. After 16 years in beautiful Vail, Colorado, the Big Beers Festival relocated to Breckenridge in 2017. We are pleased to work with the teams at Beaver Run Resort, the Breckenridge Tourism Office, the restaurants, the Arts District, and all of the folks who are so excited to have Big Beers in Summit County going forward. There’s no question that Breckenridge is immersed in craft beer culture, with Breckenridge Brewery and Broken Compass in town and so many excellent breweries in Summit Country nearby. 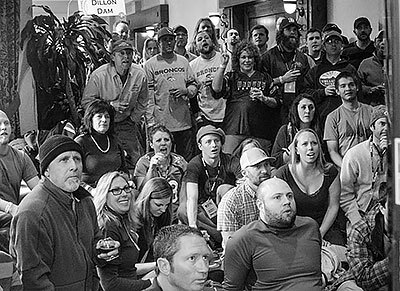 The Big Beers Educational Foundation was created as a Colorado nonprofit 501(c)(6) in May of 2016 by Laura and Bill in order to continue the Big Beers Festival in the state of Colorado. Laura & Bill are the founding members of the Board of Directors, and will continue to develop and grow the Big Beers Educational Foundation going forward. If interested, non-profit financial records are available upon request. Originally from the small town of Columbia Station, Ohio, both Bill & Laura have lived in the Vail Valley for more than 25 years. Bill and his wife, Barb, have two wonderful daughters and two enormous dogs. Laura has recently created Customized Craft Beer Programs, a consulting business for breweries, craft beer programs, and craft beer events. For more information about the Big Beers Festival, contact Laura or sign up for our newsletter.